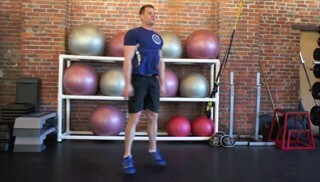 Start in a standing position with your feet shoulder width apart and you hands by your side. Drop down into a deep squat position. Thrust your body back up into a standing position and repeat.